You probably don't know that Tom Hoel held a plank for four hours and 28 minutes on May 22, 2015, setting a world record. You probably don't know that this is the second plank record for Hoel, a 52-year-old Dane. His previous record of three hours and eight minutes, set in 2014, was obliterated by Chinese policeman Mao Weidong a few months later. Weidong planked for four hours, 26 minutes. And you can't possibly know that, while I was exchanging emails with Hoel for this article, his record was being shattered by George Hood, a 57-year-old trainer and former Marine, in Southern California. He went five hours, 15 minutes. You don't know any of this because, on the surface, it's hard to fathom a more pointless record to pursue. The two minutes Hoel added to Weidong's standard is probably longer than any plank you've done in your life. My longest plank is three absolutely miserable minutes. I did it because Bill Hartman, a physical therapist in Indianapolis, said that no one should attempt advanced core exercises unless they can hold a plank at least that long. It was probably eight years ago, and I'm still bitter about the experience. I suppose it's a relief to know that Hartman has moved on from his three-minute rule. ("We'll do this only occasionally and not as a standard," he says.) But that leaves open a serious question: How long should a plank be? What's a realistic standard for those of us who want core strength and stability but have no desire to set records? Veteran strength coach and Men's Health contributor Dan John has a firm answer: two minutes. That's what he recommends in his new book, Can You Go? If you can't hold a plank for 120 seconds, you're either a) too fat; b) too weak; or c) doing something wrong in your workouts. A fit, healthy guy should be able to do a two-minute plank. John is also clear about the value of going beyond two minutes: There is none. "Enough is enough," he says. "It's just a plank. More is not better." Tom Hoel is a teacher, trainer, and group-exercise instructor in Frederikssund, a Danish town of about 15,000 that's best known for its annual Viking celebration. He's also a gym owner, and until recently, his competition consisted of small, independent gyms much like Aerobicgarden, the club he owns with his wife. But then a large chain moved in, and he needed to do something to stand out from the crowd. He started with an eight-minute plank at home. In early 2014 he added five minutes a week until he built up to an hour. A year ago he planked for more than three hours, breaking the existing record by a minute. Then came his four-and-a-half-hour plank on May 22. "This time the response has been much bigger due to the fact that the plank as an exercise has grown in popularity," he says. More and more people are testing themselves, which means more and more of us understand just how tough it is. But he's quick to point out that not everyone is suited for the challenge. 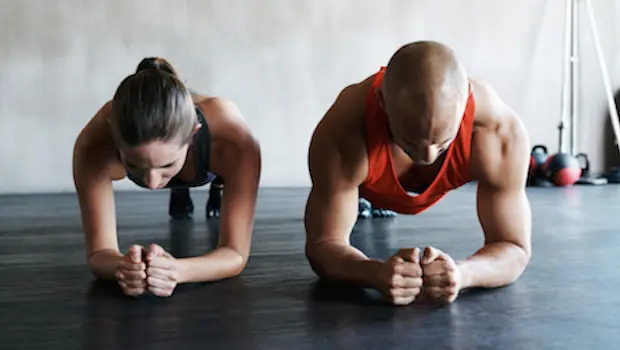 "Very few people will benefit from the plank training I've been doing," he says, adding that three-minute planks are the maximum in his group-exercise classes. Hoel's background is in gymnastics, and he won a national title in competitive aerobics in 1997. He believes the body control he developed in those sports, along with the ability to push himself, gave him a solid platform for extreme planking. But he says the biggest obstacle is mental. "You have to develop strategies to convince yourself to keep going. These are transferable to many areas in life." Men's Health is a brand for active, successful, professional men who want greater control over their physical, mental and emotional lives. We give men the tools they need to make their lives better through in-depth reporting covering everything from fashion and grooming to health and nutrition as well as cutting-edge gear, the latest entertainment, timely features and more.